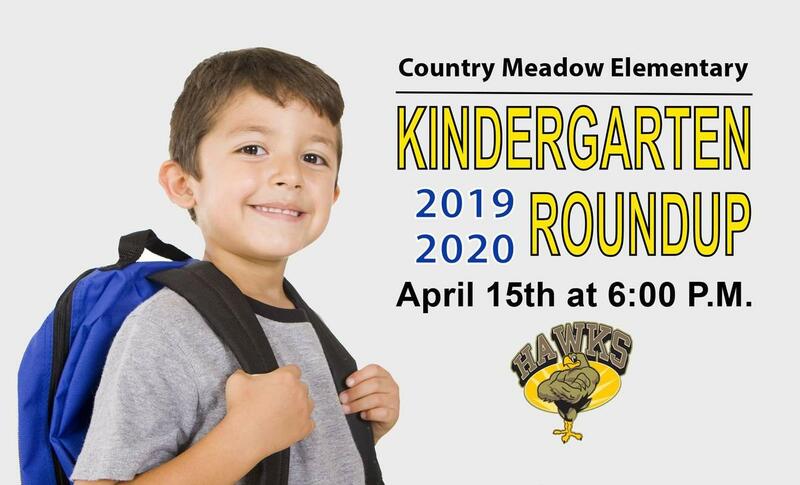 Join us at Country Meadow Elementary for Kindergarten Roundup for the 2019-2020 school year on Monday, April 15 at 6 pm. To enroll in kindergarten, children must be 5 years old on or before August 1, 2019. This is an important meeting for all incoming kindergarten parents to attend. Parents will be able to enroll their child, ask questions, learn about student programming, and other amazing opportunities that DeKalb Central Schools have to offer! We can't wait to see you on Monday, April 15 at 6 pm!